Watch <team a & team b> battle it out from the comfort of the best seats in the house with our 2019 <special game>Marvel Stadium Medallion Club tickets. As a trusted AFL Authorised On-seller, we have access to some of the best <special game> AFL tickets available. Watch <team a & team b> battle it out from the comfort of the best seats in the house with our 2019 Marvel Stadium Medallion Club tickets. 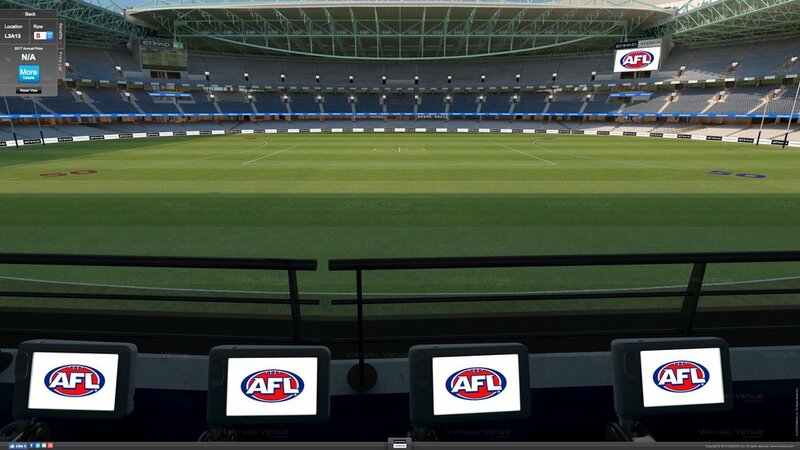 We have premium football tickets to every round in the Marvel Stadium Medallion Club. The Carvery is the ideal restaurant for grazing, offering a weekly changing buffet menu featuring seafood, antipasto and a selection of meats carved for you. Drinks are purchased on consumption. Integer ac lorem a elit posuere convallis. Sed malesuada a metus et ornare. Donec eu turpis vehicula, efficitur augue vel, imperdiet orci. Donec risus turpis, venenatis ut nisi vitae, vulputate commodo eros. Donec porta pharetra sodales. Sed non ultrices nulla. Integer ligula diam, lobortis sed sodales sed, fermentum eget lectus. Nulla nec ipsum nec ex ultricies semper. Vivamus id risus id velit egestas ultricies ut quis ligula. Suspendisse pretium congue lectus nec sagittis. Integer risus purus, congue sed aliquet a, dignissim ac metus. Praesent sodales sapien interdum felis imperdiet sollicitudin in vel elit. Duis eget diam in lacus malesuada venenatis et vitae tellus. Cras vestibulum, lacus a accumsan malesuada, turpis nibh varius est, luctus volutpat elit metus ut ipsum. Integer dui metus, venenatis a tincidunt in, volutpat vel odio. Orci varius natoque penatibus et magnis dis parturient montes, nascetur ridiculus mus.